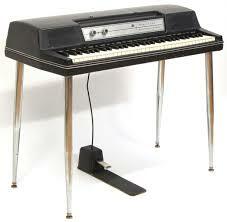 One of the most popular electric pianos. It has a reed based tone used on countless records. Softer sounding than the Rhodes piano.